Bold and classic, win complements with this instant statement accent. 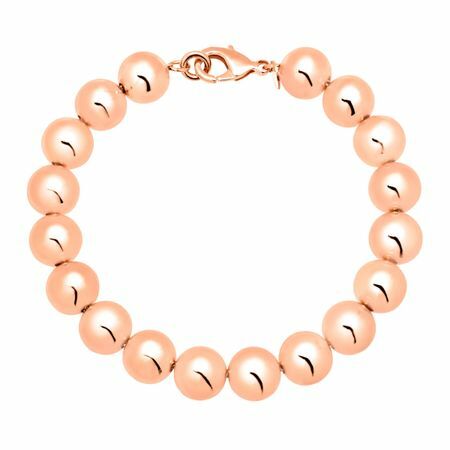 Bright pink-toned 17x10 mm beads complete this 18K rose gold over bronze-crafted bracelet finished with a lobster claw clasp. Piece measures 8 inches in length.